The first week of school is under my belt and I have had a chance to meet all my new classes. Everything went great. I just wish the "honeymoon period" would last all semester. I really like this semester's schedule which has me finishing my work day at 11:30 AM. I am all nicely settled in back here at home. I have begun my purging in anticipation of moving next June by going through just one closet of clothes I seldom wear. I brought a load of bags to the Salvation Army this week. I have also begun listing what foods I have in my freezer and cupboards both to refresh my memory about what I already have and to keep track of what I use. I'm hoping to not buy still another can or jar of something I already have. I was offered a chance to read Home by Harlan Coben for review. I happened to be reading this compelling mystery at the same time the body of an 11-year-old boy who disappeared 27 years ago was found finally bringing closure to his family. There were so many echoes between the book and real life. My review will be posted on September 24 for this September 20 release. 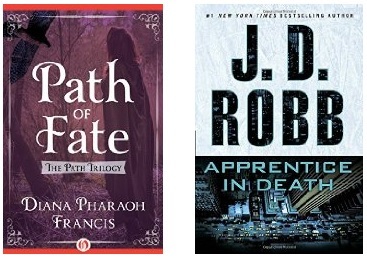 I also read Apprentice in Death by J. D. Robb - the 42nd in this series. This one is a "read upon arrival" book for me. 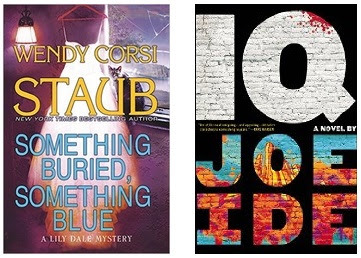 The review won't show up on this blog until November 9 but you can see what I thought at Amazon, GoodReads, and LibraryThing right now. I read A Study in Scarlet Women by Sherry Thomas which re-imagines Sherlock Holmes this time with a disgraced Victorian lady in the Sherlock role. This was an excellent mystery that begins a series. My review will be posted on October 20. 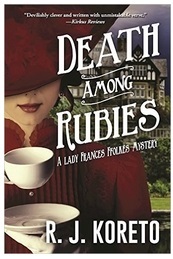 I am currently reading Death Among Rubies by R. J. Koreto which is the second Lady Frances Ffolkes mystery. It will be released on October 11. IQ by Joe Ide (Oct. 18) - I think this is the 3rd week that this one has been on this list. Other books just keep jumping in front of it. Path of Fate by Diana Pharaoh Francis was a Kindle Deal. Apprentice in Death by J. D. Robb is an auto-buy series for me. Home looks really good, and so does Something Buried, Something Blue. Enjoy! Good luck with the moving prep. That was nice of you to give clothes to The Salvation Army. I am so lucky to get the J D Robb books straight from the publisher recently and am working my way through the ones I haven't read - it is my goal for this year. I think I am pretty on track. Love those characters. The Sherry Thomas book and series sound good, only read one book by her but liked it. Ah, 11:30 am finish, sounds like the walk to retirement is happening well. Ooh nice! A Study in Scarlet Women sounds intriguing! Hope you enjoyed it! Happy Reading this week! I really like the J.D. Robb books. I want to read IQ. Good picks. Enjoy! I really need to purge this house of stuff. It is amazing what you can collect in a decade! I am glad to hear you have a great schedule this year! When I worked in the library, I didn't have any control over my schedule, at all. My Fridays were back to back classes with only a break for lunch, the entire day. :( It was not fun. The Scarlet Women book looks good! A new J.D. Robb and a Harlan Coben, sounds like a great week for thrillers. Enjoy your book selection, looks great. Glad to hear your first week back at school went well. Happy reading.